Support your pet's skin, coat, joint, and heart health with Wild Omega-3. From kittens to old cats; puppies to senior dogs. Adding Wild Omega-3 fish oil to their diet is a great way to give them a healthy daily amount of EPA and DHA omega-3 fatty acids. Why give my pet fish oil? 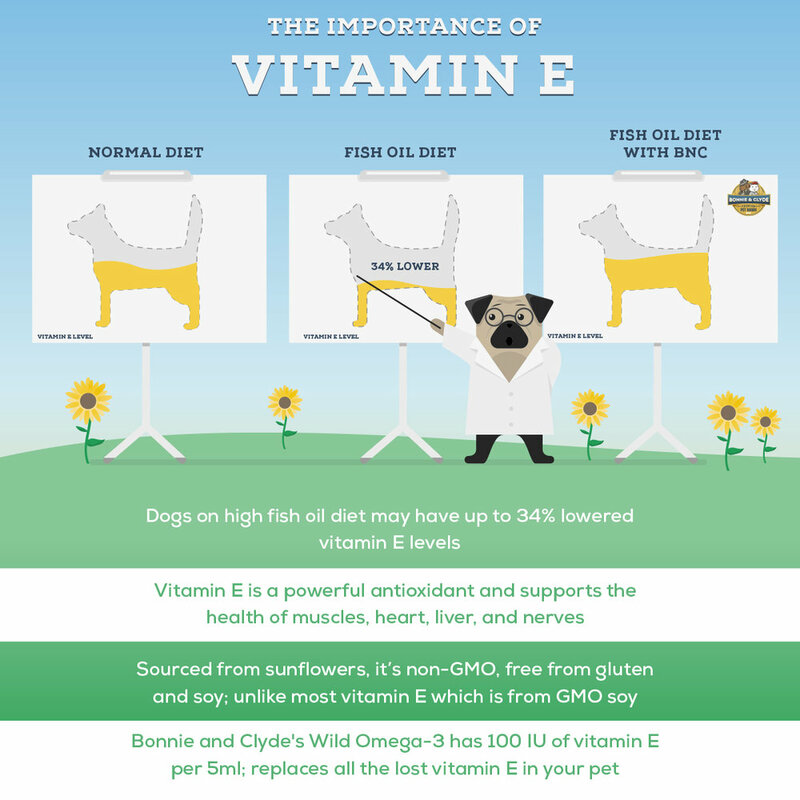 EPA and DHA help support your pet's skin, coat, joint, and heart health. does my pet need extra omega-3? 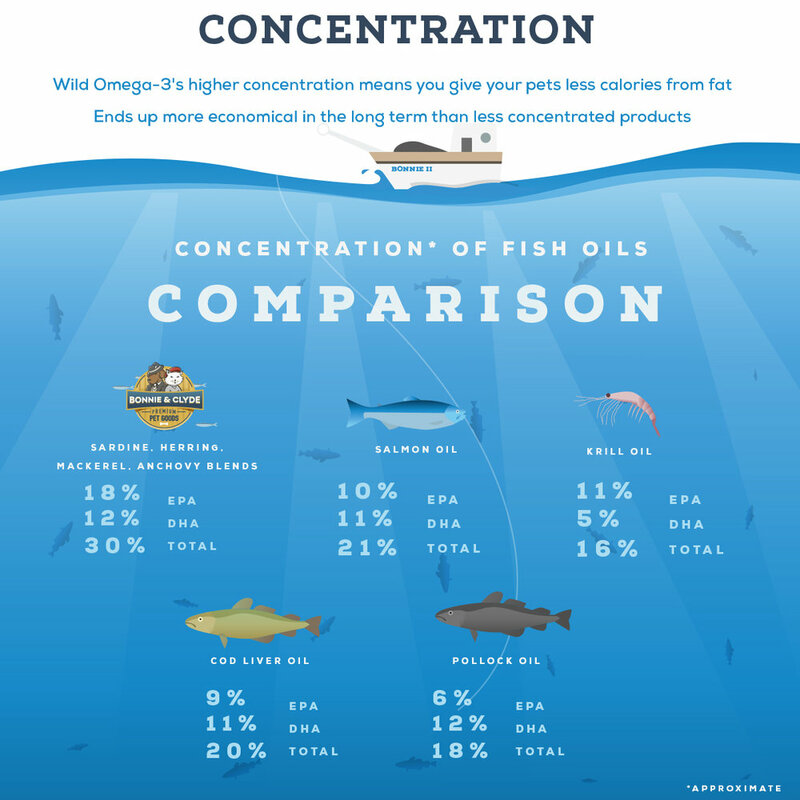 The majority of commercial pet foods available today have some omega-3 added. However, there's usually not enough provided, nor is the ratio of omega-6 to omega-3 ideal. Yes! Picky cats usually love the fact that our Wild Omega-3 doesn't have a strong smell. Yes, it does. Fish oils are very susceptible to oxidation and degradation. Leaving a bottle of liquid fish oil at room temperature can accelerate the process. Because we use an extremely high quality, deodorized fish oil in our product, most customers are very happy with how little (if any) fish odor they can smell. Your pet shouldn’t get “fish breath” from using our product, nor should their hair start smelling bad.